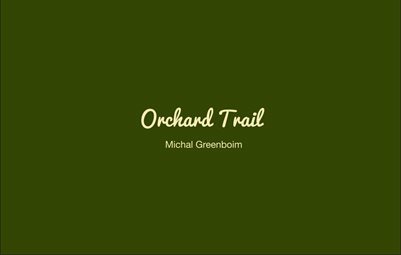 A collection from Michal Greenboim Photo Book Orchard trail. I have been taking photos since I was a little girl; first on film with an old camera from my grandfather. Since 2001 I have been in love with digital photography. I love to focus in close on the subject and see the details, different angles, new point of views for familiar things I had perhaps missed. I always try to show what comes from inside me and the art is my therapy. Recently I worked on my first book, Orchard Trail, which helped me to capture memories and say goodbye to my childhood house and all it entails emotionally. For me, the camera serves as a tool- like a brush for painting- to express ideas through pictures. The idea is to capture and preserve memories and moments by photographing the objects themselves. I capture items which recall beautiful moments, or difficult emotions, or simply photographs which remind me of places I have loved. I try to include the sound and feeling of music in my pictures- such as leaves rustling in the wind. I may ask “do you hear the wind in the trees?”. Or, for a dancer- “do you feel her delicacy and lightness Language becomes unimportant, as is where you find yourself in the world- the pictures should be accessible and my intention clear. I search for something in my subjects which mirrors my own feelings- the colors of a sunset, or the sun streaming through leaves. Through the camera I have hold of a tool with which to interpret and translate my surroundings into emotions, to create a narrative or poem within me.